Hey there Indy Reds, you are in for a treat today. In honor of the Merseyside Derby tomorrow, we had to step up our Indy Red Fan Focus, and oh did we. Today we have a Double Interview, 2 Indy Reds Father(James) and Son(William). Enjoy it. J -For me it was my cousin Mike. 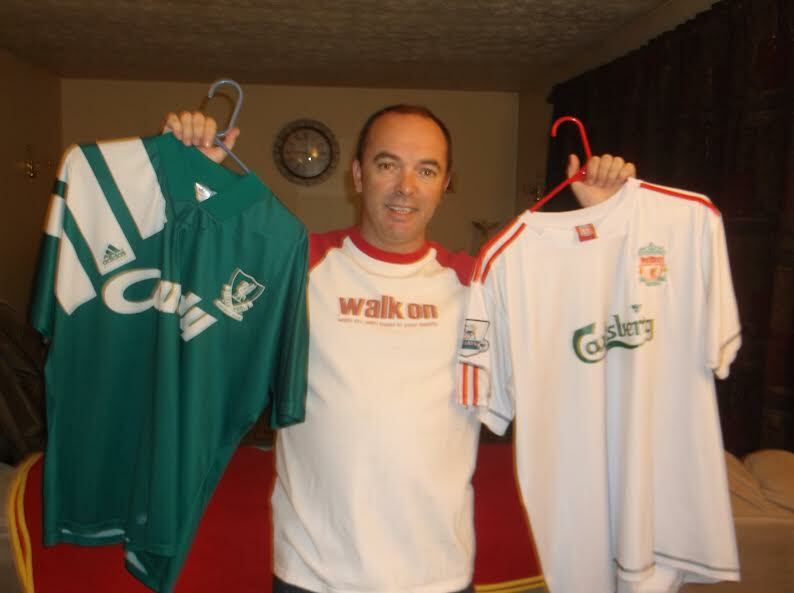 Mike was who I looked up to and him being a Liverpool fan, I always wanted to be like Mike. W – (Laughs) Yes I know! I don’t think I would have chosen another team anyway because I looked up to you like you did Mike, so when I came of age it was always going to be Liverpool. Hands down. W -I think for me it Has to be the 2001 FA Cup final. I believe we were watching that on the internet and Auntie Sue called when Michael Owen scored and we were going nuts and it was just like…wow I could get used to this. Man that was awhile ago! J – Too many! Probably the 1979 Charity Shield match. Dad took me to the Old Wembley and it just took my breath away. 100,000 fans, me being 10 years old, and Liverpool vs Arsenal. We won 3-1. W – Definitely too many. I think it has to be the 05 Cup Final hasn’t it? I mean it was my first big final on TV, I was off school that day. And the day itself was one of the best ever. Actually I think you took me out of school that day. J – Ol’ Spaghetti legs! J – Laughs. Oh man. W – The LFC Blanket has to be in the room. Banners in the window. J – No superstitions. But definitely have to have the shirt on. Red for game day. For sure. W – What, you mean that old raggedy 3/4 length sleeve shirt you wore for like 9 weeks straight! J – It nearly won us the title! It’s got holes and tea stains on it…but that shirt is a charm. W – I’m pretty sure you picked me up early? J- Mom wasn’t happy about that! But we weren’t missing a minute! I had to go to work, was already late but that last kick of the game Dudek saved but boy I was crying my eyes out on the way. W- I definitely was. I didn’t really know how to celebrate. What a game what a night! J – Stevie G. For the player he is. His leadership and undying passion. Staying at Liverpool through the years. He is LFC. W – I’d have agree. I grew up watching him. I emulated him as a player. Other players have come and gone that I’ve loved but Stevie has been my hero. J – Damn these questions! Player – Dalglish. Manager – Bob Paisely. Dalglish was my hero. But to be able to sit down with old man Bob Paisley…I don’t even know if I’d ask him a question I’d probably be shocked and smiling. Paisley was the man during my childhood…lifting trophy after trophy. W – I think it would have to be Gerrard/Benitez for me. Gerrard’s my hero. Benitez I have so many good memories as a fan with him. Smashing the Mancs 4-1, Real Madrid 4-0. Beating Chelski every damn time we came across them. Man…memories. J – Yea I believe so. W- I think I’d have to go with the 07-08 Away kit. White with the red trim. Class kit. Adidas gave us some stellar kits. J – (Laughs) Go to the bank? J – Oh my god…no SELL ASPAS. W – (sighs) Man this is a tough question really. I think it would definitely have to the stadium issue. It’s been an issue for 20 years now. Either start the refurbishing process or build a new stadium . W- Yea I like to think i’m “In the know”. But definitely their website and the Liverpool Echo website. J – The Union Jack. Definitely going to the pub. J – Moreno. Oh…my gosh. That kid is phenomenal. We have a prodigy on our hands. That goal against Spurs was just…I don’t know I’ve probably watched it 50 times. J – Oh please…only one?! Nope…every goal we score. Dalglish…Rush…Barnes…Ronnie Whelan scored a wonder goal that has stuck with me. Souness scored a goal against Luton and I was in the Luton end…I yelled and then remembered I was in Luton! J – No wait…I got one…Definitely the Stevie G equalizer against West Ham. The third one. That was a thunder bolt that just came out of absolutey no where! 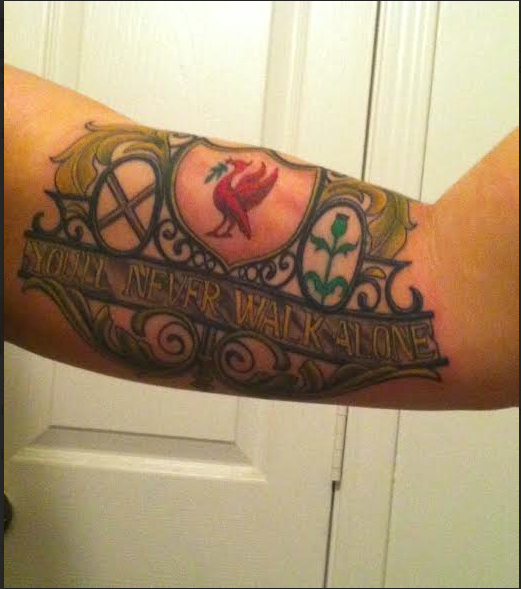 W- This is tough….but yea that Stevie G goal was wonderous. But if I had to pick it’d definitely be a Suarez special. Either the halfway punt or that volley against Norwich. Just phenomenal. J – Quite a few times. W – Unfortnuately not yet. But here soon that’s going to change. J – Rugby Union. Love to watch Wales in the Six Nations. J – Nascar (laughs). Any motor sport really. Like Formula 1. W – I don’t drink currently as I’m in season preparing for my second physique show, but when last season my go to was Scottish Wee Mac from Sun King. Pretty sure I downed a growler before 9 last season when we beat the Mancs. It was my birthday, and anytime we play them I need something to ease my mind haha. J – I stick to Tennents. Can’t break from that. J – Oh man…everything about Liverpool. The history. J – Words can’t express it. W – No one else will understand until you immerse yourself in LFC. It’s unlike any of the other teams I support in other sports. 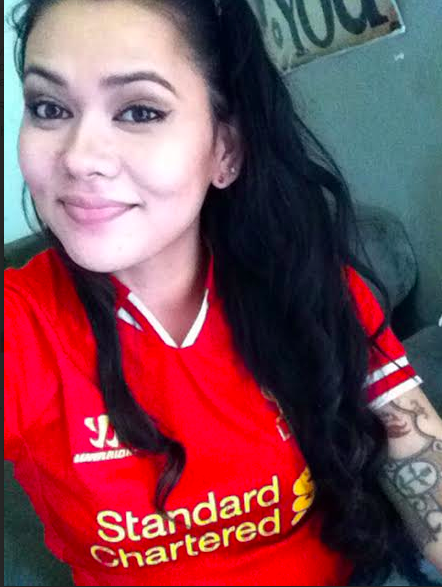 I love the teams I do support in baseball and NFL, etc…but I don’t get the feeling I do like I do with LFC. J – It’s a way of life. W – It’s growing into a good supporters club. Just proud to be a part of it and see that this club can reach all the way to Indy. J – Being there last season for the derby and seeing the passion was great. It’s excellent being so far from home. Thanks guys, pretty awesome right?! As you know the Merseyside Derby is tomorrow morning 7:45am Kickoff. 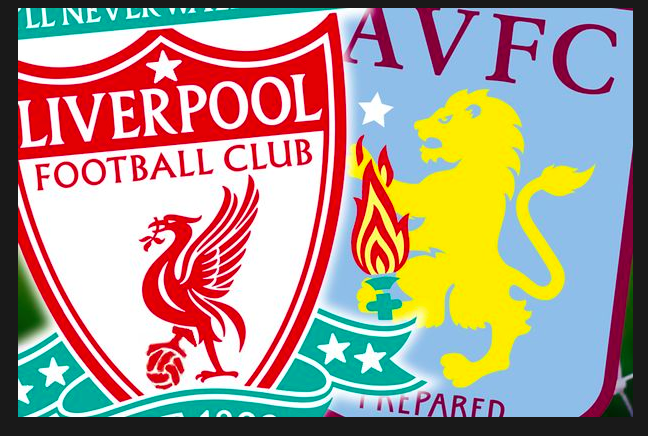 Doors at Indy Anfield Union Jack Pub will open up at 7:30. Make sure you get there, we will be giving away a couple pairs of tickets in the TCC Talk Suite for the Indy Eleven match that is happening later that night. So if you needed another excuse to get out of bed early there it is. Head to UJ’s have a pint watch a great rivalry, get loud and wake up Broad Ripple. Huge thanks to fine folks at TCC Talk for offering to give us tickets to giveaway. If any of you Indy Reds follow Nile on twitter/facebook/insta you have seen his pictures from when he sat in the suites, it is pretty awesome. Great View, free beer and snacks. This entry was posted in Indy Red Fan Focus, Uncategorized and tagged Indianapolis, Indy, Indy Eleven, Indy Reds, LFC, Liverpool, YNWA on September 26, 2014 by LFCIndy.